Israel's High Court of Justice rejected on Wednesday an appeal by Jewish settlers to delay the evacuation of an unauthorized outpost in the West Bank, a court document showed. The court also set a new deadline of September 4 to evacuate all settlers from the enclave of Migron, after rejecting an appeal to stay an earlier finding that the outpost had been built on privately owned Palestinian land. The court also ruled that the State must raze all of the outpost's structures by September 11, apart from those situated on plot number 10, which the settlers claim to have purchased. In their ruling, Supreme Court President Asher Grunis and justices Edna Arbel and Miriam Naor said the eviction must include those settlers who appealed the court and declared that they had purchased some the land lawfully. The judges said they assume the settlers had in fact purchased the property, but added that "this does not mean the structures should remain intact." The judges said ownership rights are subject to planning laws, which the residents of Migron did not abide by. They said the settlers' use of the land does not coincide with the original plans for the site. "As opposed to the petitioners' claim, the issue of ownership was never the only stumbling block for settling (in Migron)," the judges wrote. According to the court, the political echelon never made a decision to set up the outpost and that demolition orders for Migron have been issued in the past. During a press conference convened after the ruling, Migron settler Itay Harel called the court's ruling a "price tag move aimed at erasing Migron." 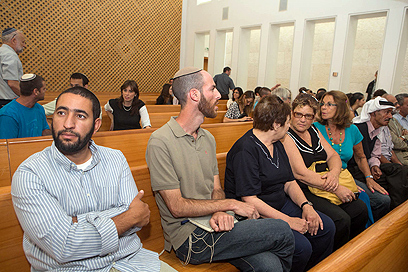 Another settler said the settlement enterprise "cannot be stopped by this or that verdict. The settlement enterprise will continue to flourish." Another Migron resident said, "This is a dark day for Israeli democracy; a day in which the Israeli government trampled over the basic rights of its citizens." 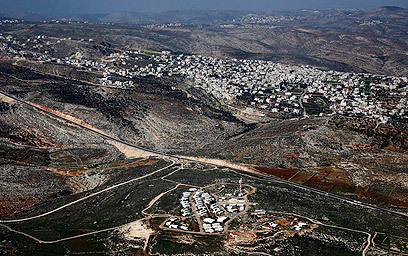 Peace Now, which filed an appeal for Migron's evacuation in 2006, called the ruling a "victory for the rule of law over the systematic construction of illegal outposts in the territories. "The ruling shows the settlers that they are not above the law. Peace Now considers the ruling a significant achievement for all those who believe in a two-state solution," the leftist group said. The Yesha Council issued a statement saying, "The ruling will not discourage us. On the contrary, we will double our efforts to legalize the land in Migron Illit and repopulate it as soon as possible." Knesset Member Danny Danon (Likud) called on Prime Minister Benjamin Netanyahu to convene the Ministerial Committee on Settlement Affairs and adopt the recommendations of the Levy Report. "The Likud government must stop ignoring our citizens in the West Bank," he said. "If this was about homes of Sudanese (migrants), the court would never have ordered their evacuation." State attorney Osnat Mandel said during the hearing that the Migron settlers' request to delay the evacuation until the modular homes being built for them are completed is unreasonable. She said the homes will be ready in the coming days. The Defense Ministry said it was prepared to assist the Migron settlers "should an agreement be reached on a voluntary evacuation. If not, the matter will be turned over to the IDF and police, which will handle the evacuation." In March, the Supreme Court ruled against an attempt by the government to postpone to 2015 the demolition of Migron. Deferrals against the demolition stretch back to 2006. See all talkbacks "Court: Evacuate all Migron residents by Tuesday"